The down-on-their-luck EDL only managed less than 200 for a ‘national’ demo following large numbers of splits, defections and internal arguments. 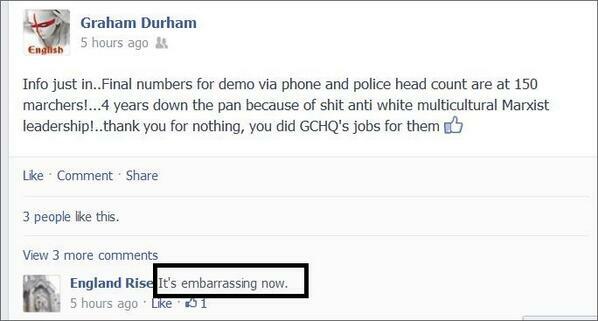 This is looking like the ‘new normal’ for them – the die-hards who haven’t figured out yet the EDL is dying on its feet. In Exeter the EDL got 200 max and blamed it on Exeter being hard to get to. What’s the excuse this time? The anti-fascist presence from AFN, UAF and others numbered about 200+ mixed in with a feisty crowd of local Slough folks who didn’t take to kindly to a racist march down the High Street on a Saturday afternoon. Anti-fascists mixing freely with up-for-it locals was one of the best features of the day – made a few new friends on the streets. Slough kids don’t like the cops much either! The EDL were harassed all the way from the train station into town and all the way back with a barrage of abuse from locals. They took the expected route from the train station to the town centre rally on the High Street and then back again the same way. But as they turned the corner onto the High Street anti-fascists surged forward to try and block the road. 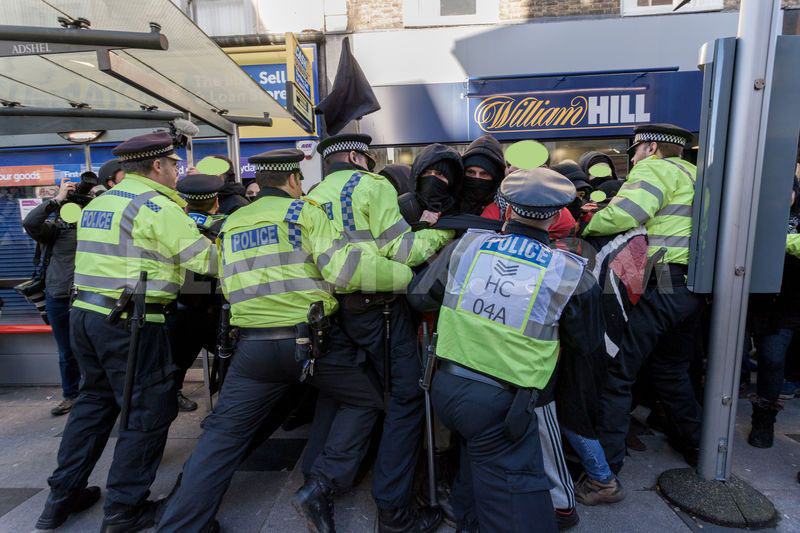 The police had to fight and shove their way all along the High Street including using batons and horse charges against anti-fascists to get the EDL to their rally, facing some determined resistance from anti-fascists trying to block the route of the march. So although the march did take place, by the EDL were corralled by the police at all times, marched in and then shipped straight back out again. 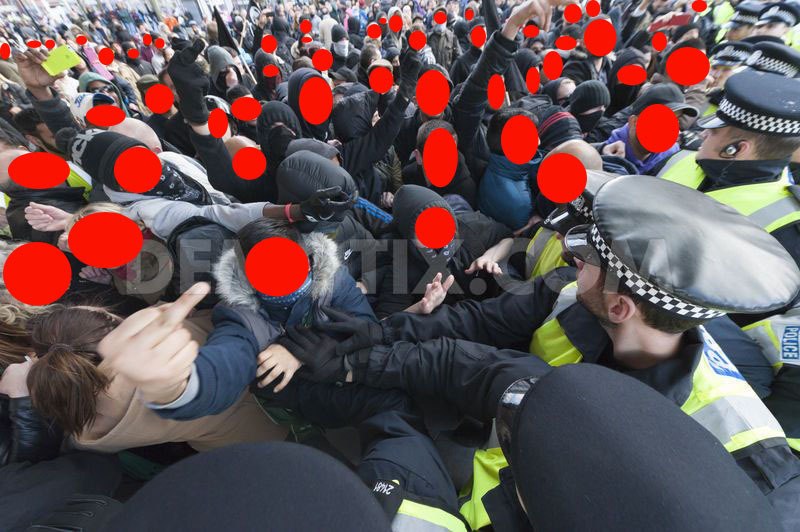 This is due to the actions of anti-fascists – when there is a determined opposition the police are more likely to make the decision to bus the EDL straight out. When there is only limited opposition, as we have seen many times before, the EDL are often free to roam the city in groups and to mob up and go off drinking in groups after the demo – this is when the most trouble occurs as boozed-up gangs of EDL pick on locals or anyone they don’t like the look of. The more people there are up for making a determined show of resistance to the fascists, the safer everyone is. For their part anti-fascists stayed mobile and were not kettled or constrained by the police. The police reported 4 arrests in total. 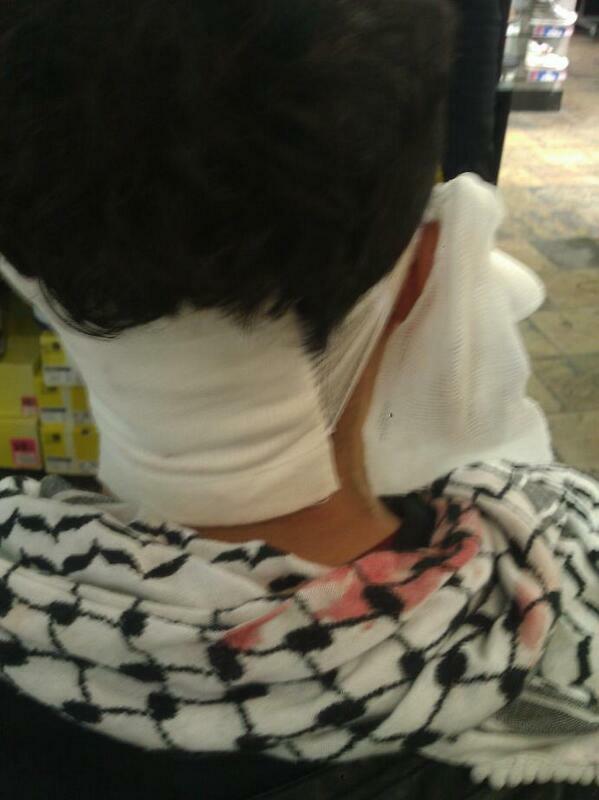 We know of 3 anti-fascists arrested and one anti-fascist with a head injury from a bottle chucked by the EDL, who is now OK, been patched up and on their way home. If you have any information or witnessed any anti-fascist arrests or police violence contact GBC Legal. And please be careful with what footage/pictures you post online. Don’t give the police evidence to prosecute anti-fascists with. The EDL’s next outing is Worcester on March 22nd. Stick the date in your diary and watch this space! 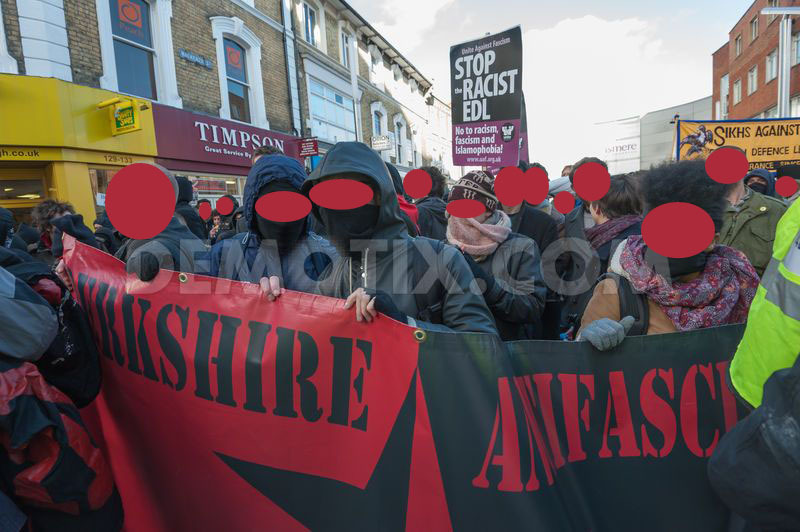 Good work by London Anti-Fascists and locals Berkshire Anti-Fascists who did sterling organising in advance to get the numbers out on the streets!